(GREAT FALLS, Mont., March 22, 2019) — The National Native American Hall of Fame is opening up the 2019 Hall of Fame nomination process today to determine the 12 Native Americans who will be inducted this year. A list of 30 nominees has been made public via an online survey at https://www.surveymonkey.com/r/2019NativeHOF. The public is being asked to vote on the nominees, which will assist in the process of determining the 12 individuals who will be recognized at the 2019 National Native American Hall of Fame Induction Ceremony at the Hard Rock Hotel and Casino in Tulsa, Oklahoma on November 2. "The survey will be open for just two weeks so I urge you to complete the survey early and make sure your voice is heard," says National Native American Hall of Fame CEO James Parker Shield, Little Shell Chippewa. After the survey closes, the organization's Board of Directors will tabulate the results and determine the 12 inductees, who will be announced at a later date. "Our Board of Directors takes this process very seriously; and we have lively discussions on each potential nominee at every step during the selection process," notes Shield. "The public survey results are a huge asset in these discussions as it gives us an idea of how the Native public is weighing in about each of the inductees." "It's a difficult process to narrow it down to only 12 inductees each year; and I commend my Board for making the tough decisions to do that, especially when there are so many deserving Native Americans," says Shield. The survey will include a short biography about each nominee to help the public understand why they have been nominated. To nominate other Native Americans in the future, the National Native American Hall of Fame is working on a nomination form that will be on the website (www.nativehalloffame.org). Until the form is online, send emails to: info@nativehalloffame.org with the name, short biography, and a digital photo of the individual being nominated as well as your contact information. For more information about the 2019 Induction Ceremony and to become a sponsor, contact Chief Development Officer T.J. Hansell (tj@nativehalloffame.org or (602) 885-4454. The National Native American Hall of Fame is an Indigenous 501(c)(3) non-profit organization serving Native Americans and Alaska Natives. Its mission is "To Recognize and Honor the inspirational achievements of Native Americans in contemporary history." 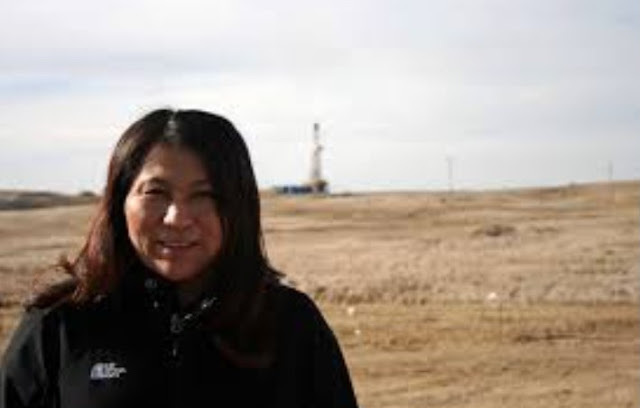 The all-Native Board of Directors includes members from several nations, including: Blackfeet/Wichita, Comanche, Ojibwe, Northern Cheyenne and Sac and Fox. Future plans for the Hall of Fame include a traveling exhibit and an educational curriculum for youth focusing on the vast array of accomplishments by Native Americans in modern times. For more information and updates, visit https://www.nativehalloffame.org/. 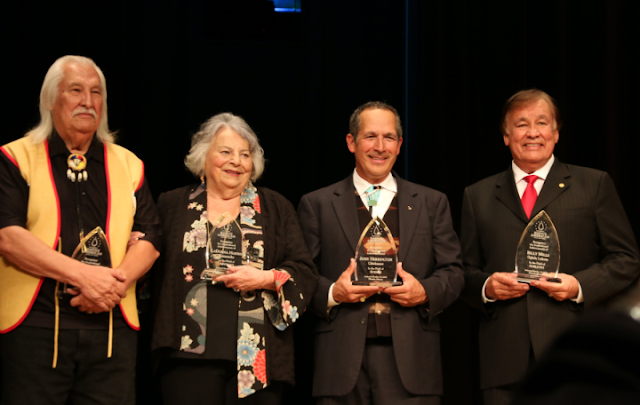 Photo: Four of the 12 2018 Inaugural Inductees to the National Native American Hall of Fame: Lionel Bordeaux, Sicangu Lakota; LaDonna Harris, Comanche; John Herrington, Chickasaw and Billy Mills, Oglala Lakota. Photo Credit: Jolon Indian Media.